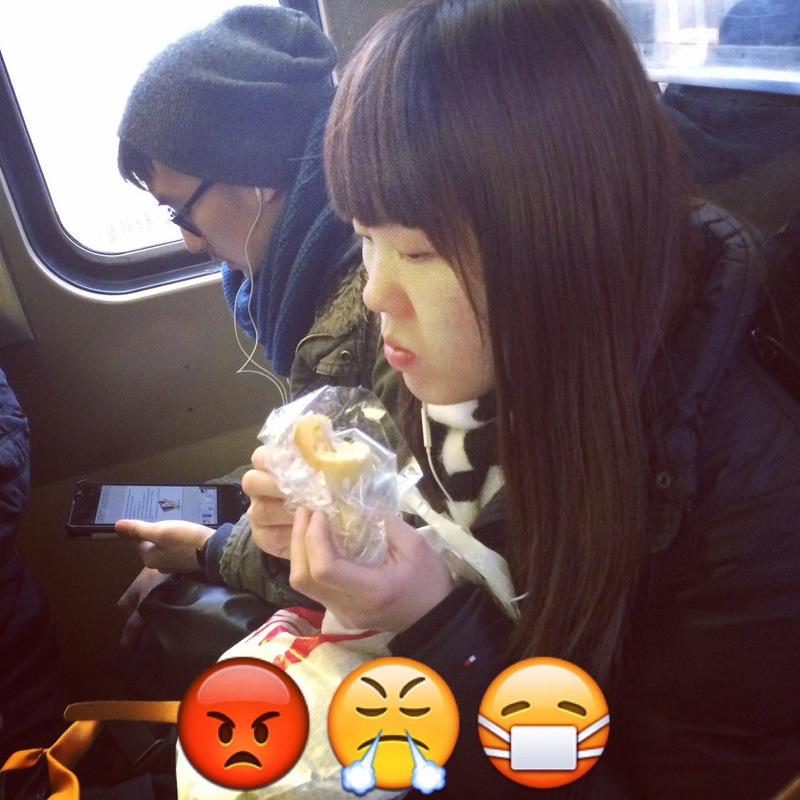 What’s worse than eating an egg sandwich on the subway? Eating it at a glacial pace. We all missed breakfast. Stop it.